Claim Listing "High Prairie Affordable Towing Hauling and Recovery "
There are plenty of towing and wrecker companies in High Prairie, but only Peace River High Prairie Affordable Towing has what it takes to stay at the top. Innovative and experienced, our team knows the right techniques for dealing with everything from delicate accident recoveries to roadside assistance. Armed with the best equipment and a caring attitude, we're proud to make helping others in the High Prairie community our business. With Peace River High Prairie Affordable Towing, you'll never be overcharged by a single cent or be treated with less than the utmost respect. We value your business and work hard to earn it on every call. 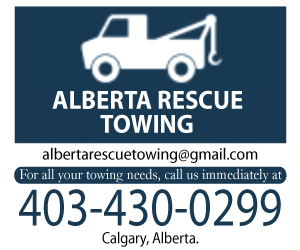 Peace River High Prairie Affordable Towing can be reached at 780-624-4111 at all hours. Call us and we'll be on the way for whatever towing, roadside assistance, or recovery you need.